ALTON — Roxana bowler Christian Bertoletti had his eyes on the prize Monday at Bowl Haven. But it claiming it would be a substantial challenge. Going into the last game of the Boys Bowling Sectional, Bertoletti needed a 235 to catch Collinsville’s Ethan Gardner for the top spot. Ultimately, he needed four strikes to finish it. No sweat. As the last bowler to finish, and with fans and many of the other teams who were in for the day gathered around, Bertoletti rolled what was needed. He tied Gardner for the individual championship and in the process helped lead the Shells to their first state tournament berth. Bertoletti needed four strikes for the tie and that’s what he got. But the senior, who had advanced to state as an individual the last two years, was so focused on his team’s performance, he was initially unaware of how close he was to the individual crown. 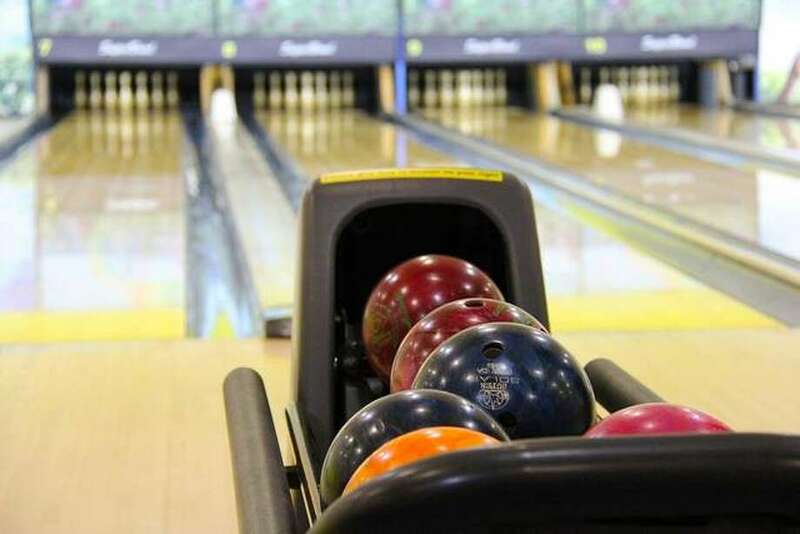 Bertoletti and Gardner tied for the individual championship at Monday’s IHSA Boys Bowling Sectional Tournament at Bowl Haven. They each also helped their respective team earn a qualifying berth to this weekend’s IHSA Boys State Bowling Meet at St. Clair Bowl in O’Fallon. The sectional had been originally scheduled for Saturday, but was postponed because of a forecast of snow for Saturday. The state tournament will get under way with preliminary rounds Friday and finals Saturday. Bertletti and Gardner each rolled a 1382 for the top individual spot. Bertoletti’s Shells finished fourth in the team standings with 5965 pins, while Collinsville was second with 6133, just behind team champion Columbia’s 6299. Belleville East was third with 5988. The team approach worked for the Shells, who captured their first state berth after being in 13th place at lunch break. Bertoletti vaulted from 19th place to the top. His climb up the ladder culminated with nine consecutive spares before his four strikes to end it. While the Shells will make their first state tourney appearance, Kasting wasn’t sure such a fate was in the cards at the lunch break Monday. But Roxana, which was 13th at the break, steadily rose in the standings. “We hit our stride in the afternoon,” said Kasting, in his first year as head coach of the Roxana bowlers. “We gradually got better as the day went on. Sectional host Alton High also earned a team state berth. The Redbirds finished fifth with 5840 pins, just behind the Shells. Freeburg grabbed the sixth and final team state berth. The top six teams advance to the state tourney, which is set for Friday and Saturday. Centralia finished seventh with 5753, followed by Civic Memorial eighth 5721, Herrin ninth 5684, Anna-Jonesboro 10th 5660, Salem 11th 5634 and Harrisburg 12th 5595. Roxana’s other scores Monday included senior Jake Weigel 1186, senior Blake Adams 1179, senior Ethan Baumgartner 1111 and sophomore Logan Wonders 1107. Alton’s top scorer was senior Chris Duke, who rolled a 1248. Senior Matt Engdale was right behind him with a 1245. Senior Jared Cochran bowled a 1170. Other scores included senior Trevor Vallow 936, senior Gavin Taylor 743, sophomore Danny Laslie 334 and sophomore Ta’Ravion Ward 164. Engdale of the Redbirds rolled the high game on the day with a 279. Columbia’s top individual was Jacob Amos with 1296 pins. The Eagles’ Nathan Bostick was right behind with 1289 and Seth Harris was close with a 1255. East was led by Brandon Lacy’s 1253, while Freeburg was led by Zach Elbe’s 1190. Seven individual bowlers also qualified for the state tournament, including Jersey’s Jeremy Vanost with a 1274. Other qualifiers were Taylorville’s Brian Skienka 1314, Lebanon’s Brandon Ogden 1291, Waterloo’s Ryan O’Guin 1283, Gibault’s Josh Hugger 1277 and Herrin’s Tyler Miffin 1228.